SHOULD I WORRY ABOUT A TOOTHACHE? Throughout your life, you have probably dealt with a toothache. Whether it was a dull ache or throbbing pain, toothaches are very common. Toothaches are actually the second most common difficulty faced by people in across the country. Tooth pain can be throbbing, dull, sharp, constant, or intermittent. You may only have a problem when you chew or maybe the pain is bad enough that you can't focus on anything else. Trying to figure out what might be causing your toothache may be frustrating since a toothache could be a symptom of a minor issue, for example a cavity, or a bigger problem, like a dental abscess. If your toothache persists for at least two days or you are in pain, DentalWorks - Easton suggests scheduling a dental exam as early as possible, so our skilled team of professionals in Columbus, OH can identify the cause and implement a treatment plan. These are just some of the most common conditions that cause a toothache, accompanying symptoms to watch for, and tips for preventing tooth pain. In some cases, a toothache isn't a reason for immediate concern. As an example, perfectly healthy teeth can become uncomfortable, sensitive, and achy for a short period of time following a professional or home whitening treatment. This particular sensitivity is caused by the irritation of your dental nerves by the active whitening ingredient. However, if tooth sensitivity causes intense pain or doesn't go away after five days, you should speak to your dentist. A cause of a toothache is a cracked tooth. This can be caused from an accident or something simple like biting a hard candy or ice. When this happens, emergency dental care is often required to reduce your pain and repair the tooth. One less commonly known underlying cause of a toothache is a sinus infection. Your upper back teeth sit close to your sinus cavities, so pressure can spread to your teeth. If sinus pressure and a runny nose are present with your toothache, you may need to visit your doctor for an infection in your sinuses. A dental abscess, usually caused by an untreated cavity, can lead to a severe toothache. 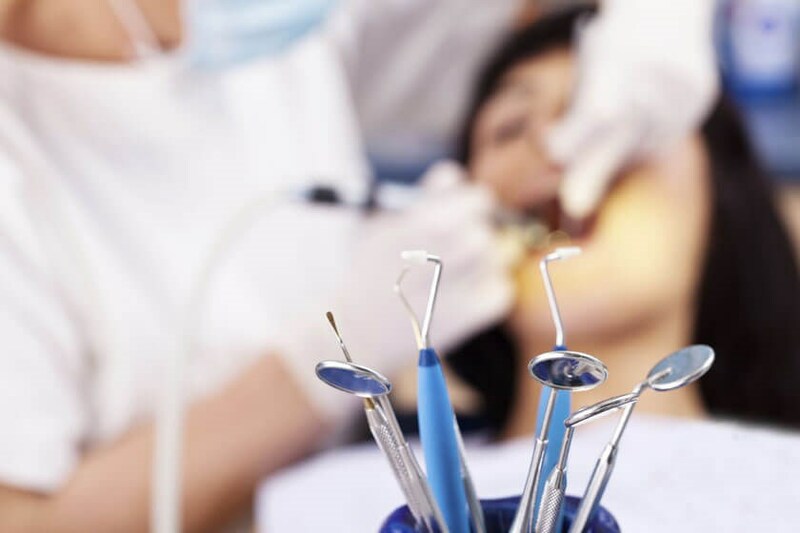 Your dentist may need to perform an extraction or a root canal to deal with the abscess. A toothache by itself is a concern that doesn't necessarily need immediate treatment. If a toothache and facial swelling are present following a dental procedure, they are likely caused by the procedure and should fade in the next couple of days. However, if you have a toothache in addition to other symptoms, you may have a bigger problem. You should contact your dentist for an emergency appointment if your tooth pain is severe, unbearable, or is accompanied by a fever. These are signs that an infection is present, which needs to be treated before it spreads. Trouble eating, speaking, and opening your mouth are also signs of a serious condition that should be reported to your dentist right away. Lastly, a toothache along with a facial rash could mean sepsis, which requires immediate medical attention. If you want to treat mild toothaches, a few home remedies can help alleviate the pain while you wait to get in to see your dentist in Columbus, OH. A simple saltwater rinse, over the counter pain relievers (acetaminophen), and also a cold compress might help significantly reduce your tooth pain. Hydrogen peroxide diluted with water can also be used as a rinse to remove bacteria, relieve pain, and reduce inflammation. Most toothaches will require treatment by your dentist. While your toothache may not always require immediate treatment, it is much better to be safe than sorry when it comes to your oral health. Possible treatments might include a filling, root canal therapy, or an extraction of one or more teeth depending on your underlying issue. If the infection occurs with a fever, chills, or jaw swelling, then you might be prescribed antibiotics to take after your dental treatment. Most importantly, every resident in Columbus, OH should have annual examinations along with bi-annual cleanings. Regular visits to your dentist’s office can help make sure buildup and smaller issues are corrected before they can weaken the enamel and turn into a bigger problem. Your dentist can also look for potential problems before they turn into a toothache and suggest proactive treatments. Eating a nutritional diet can also help prevent toothaches and the bigger issues behind them. Foods that are with a lot of calcium keep your tooth enamel strong, making it more difficult for bacteria to penetrate it. Apples and carrots, which are packed with fiber, are also great for the teeth. These foods stimulate saliva, which helps to rinse away bacteria and food particles. A stalk of celery is like a natural toothbrush, removing food and bacteria with each bite (even though we recommend cleaning your teeth at least twice a day with a normal toothbrush). A good way to prevent a toothache is good oral hygiene. Tooth decay can be prevented with a regular home care routine that includes daily brushing and flossing. If you regularly experience excessive buildup or tooth decay, speak to your dental professional about dental sealants. This preventive dental treatment is designed to help protect your teeth from buildup. If you have a toothache, speak to your dentist to decide if you need immediate care. If you take care of a toothache quickly, you will probably avoid more pain and longer, invasive dental procedures. If you're living with a toothache because of fear or anxiety about going to the dentist, DentalWorks - Easton offers sedation methods to keep you comfortable when you're getting routine appointments and longer treatments.